A blind flange is a popular type of pipe flanges. 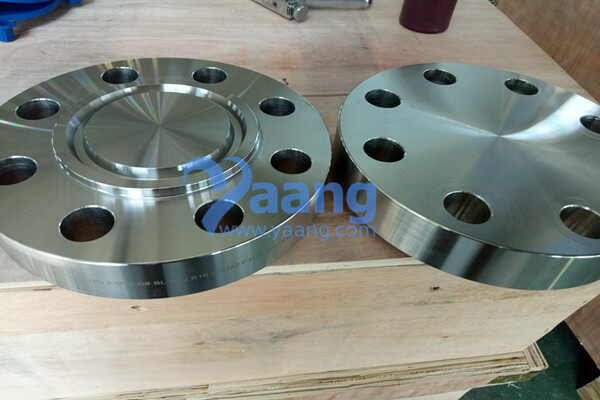 It has no bore in the center,and is primarily used to close the ends of piping systems.This flange premits easy access to a line once it has been sealed.It sometimes can be machined to accept a nominal sizes pipe to which a threaded or welded reduction is being made.Haihao steel blind flanges are available in various sizes and material for you to choose from. Blind Flanges are commonly used in petrochemical, pipe engineering, public services and water treatment etc. China Blind Flanges manufacturer www.pipelinedubai.com supplies Blind Flanges, Industrial Blind Flanges, Blind Fittings in alloy steel, carbon steel, stainless steel, etc. China Blind Flanges Manufacturer www.pipelinedubai.com offers ANSI B16.5 ASTM A182 UNS S32750 Blind Flange RF, DN100, 150#. China Blind Flanges Manufacturer www.pipelinedubai.com offers ASME B16.5 ASTM A182 Grade 316L BLRF Flange, DN200, 150#. 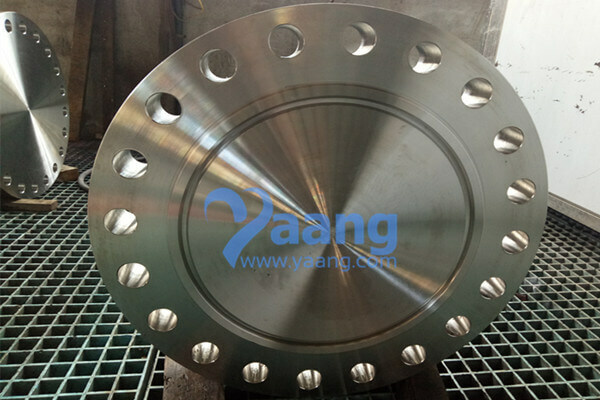 China Blind Flange Manufacturer www.pipelinedubai.com offers ASME B16.5 ASTM B564 Inconel Alloy 718 Blind Flange RF, DN100, Class150. China Blind Flanges Manufacturer www.pipelinedubai.com offers ASME B16.5 Inconel 625 Blind Flange RF, DN80, 300#. China Blind Flanges Manufacturer www.pipelinedubai.com offers ANSI B16.5 F316L Blind Flange RTJ, DN65, 900#. China Blind Flanges Manufacturer www.pipelinedubai.com offers ANSI B16.5 316L Blind Flange RTJ, DN150, 900#, R45. China Blind Flanges Manufacturer www.pipelinedubai.com offers ANSI B16.5 316L Blind Flange RTJ, DN300, 900#, R57. 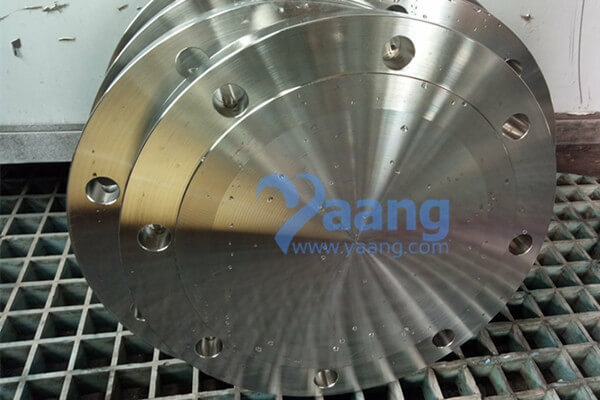 China AS2129 T/E Flange Manufacturer www.pipelinedubai.com offers AS2129 T/E 316L Blind Flange, DN50. China Blind Flange Manufacturer www.pipelinedubai.com offers ASTM A182 F53 UNS32750 Blind Flange, RF, 8 Inch, CL150.